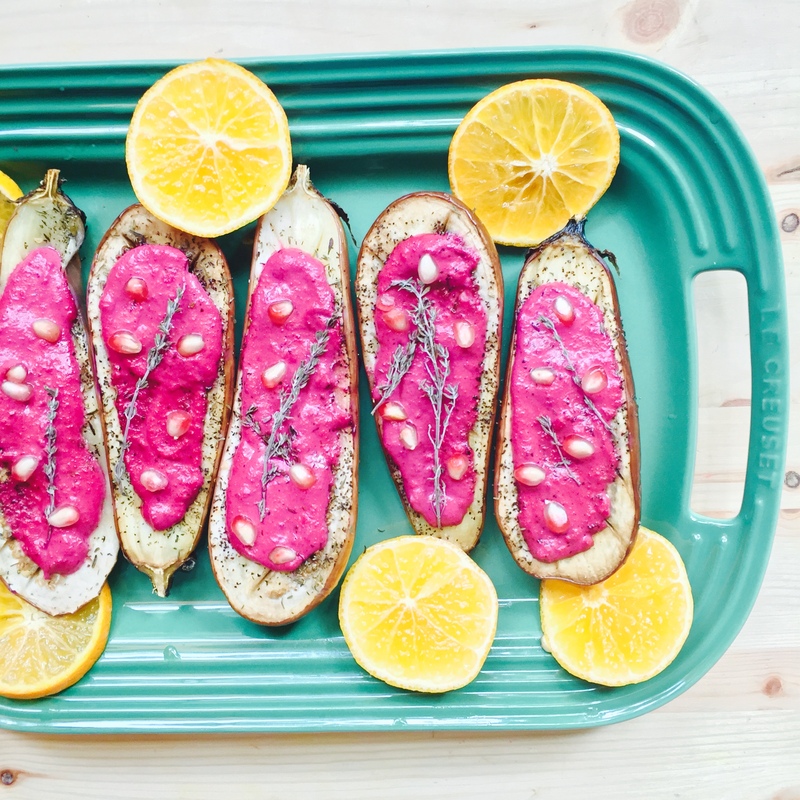 For the past year, everywhere I went I was seeing this photo of a beautiful spread of eggplants adorned with vibrant pomegranates and thyme sprigs. 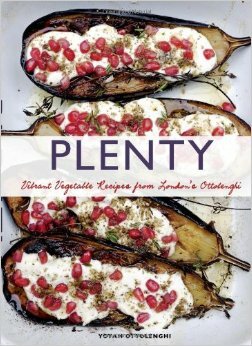 I soon learned that this was Yotam Ottolenghi’s recipe, and the cover of his book, ‘Plenty’. My ultimate goal with Vibrant&Pure and one of the main reasons I started it in the first place, is to show people that just because you give up certain ingredients that are seemingly unavoidable, doesn’t mean you should ever have to feel deprived. So I did what I always do-I saw a dish with something I can’t eat (dairy), and I found a way to make it without dairy, and there you have it- my intricate process! 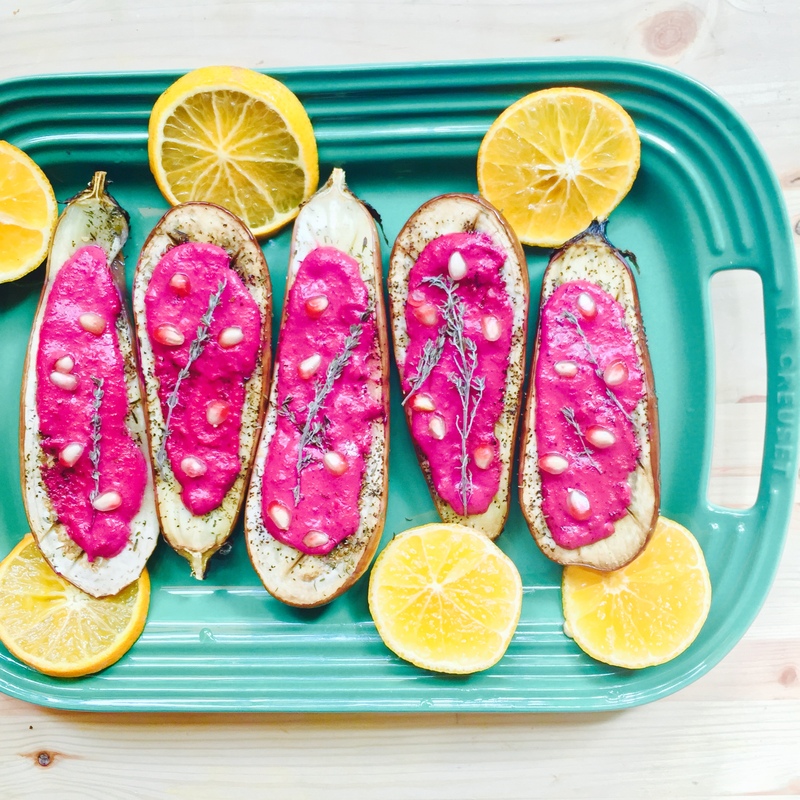 Both versions of this dish are super easy, healthy, and absolutely beautiful to look at. If you are stumped on what to make for a dinner party-look no further. This process is as easy as cutting eggplants, making a sauce, baking the eggplants, topping with sauce and a few other ingredients-and you’re good to go. Preheat oven to 350 degrees F. Prepare an oven safe dish lined with parchment paper. Slice your eggplants into halves and make criss cross cuts along the flesh (skin side down). Brush the eggplants with a healthy amount of oil and sprinkle with sea salt, pepper, some thyme sprigs, and za’atar if you have it (if you don’t have it don’t worry about it). Bake for 25-30 minutes or until the eggplants seem sufficiently softened and baked. Remove eggplants from oven and allow to cool. While the eggplants bake, prepare your sauce. Simply mix together all of the sauce ingredients using your high speed blender or food processor, I used my nutribullet. Make sure you start with less water and add more until you reach the desired consistency. 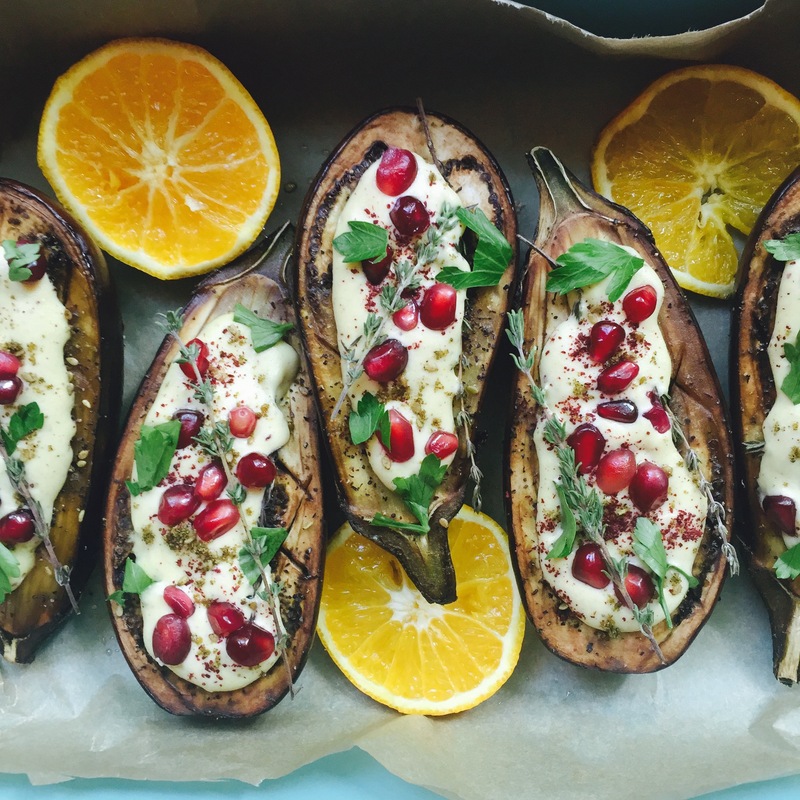 Top eggplants with a slathering of cashew sauce and top with pomegranate, thyme sprigs, parsley, and mint. Enjoy!